Eddie and Tom will pick up the award and perform with Martha Adcock at the 3rd annual D.C. Bluegrass Festival on Feb. 24 & 25 in Silver Spring MD. Both Eddie and Tom are members of IBMA's Hall of Fame. Bill Emerson and Hazel Dickens are previous recipients of the Washington Monument Award, which recognizes individuals who have made outstanding regional and national contributions to bluegrass. Eddie (considered by many the true father of new grass music) and Tom Gray were both members of the Country Gentlemen during the group's watershed creative early recording days in the 1960s. They took their exhilarating brand of bluegrass far afield into urban areas and colleges, and onto-the turntables of doctors and lawyers, leaving the overalls and hay bales behind. Tom Gray says, "I hope you will come to the two-day bluegrass festival sponsored by the DC Bluegrass Union where I will perform with my partners in music, Eddie and Martha Adcock. It will be held on Friday and Saturday February 24 & 25 at the Holiday Inn on U.S. 1 in College Park MD. For more info about schedules, prices, tickets, etc., see www.dcbluegrassfest.org You can even stay there at the Holiday Inn and enjoy a whole weekend of bluegrass music." Eddie, Martha and Tom recently released Many A Mile. 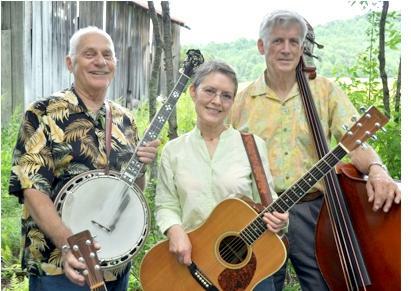 TwoGrass" duo Eddie & Martha joined with longtime friends Tom Gray, Gene Johnson and Missy Raines to offer a peek here into some of the songs that resurrected bluegrass music in the mid-20th century. Many A Mile is composed of an award winning all-star lineup featuring Eddie Adcock (banjo & vocals), Martha Adcock (guitar & vocals), Tom Gray (bass), Gene Johnson (mandolin & vocals), Missy Raines (bass), Wes Easter (vocals) and Pete Kuykendall (vocals).